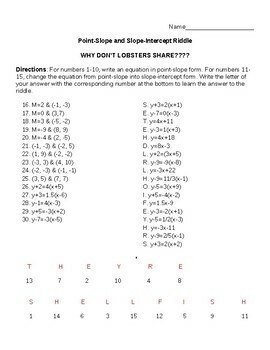 This is a riddle worksheet that I made for my students to practice writing in point-slope and slope-intercept format. 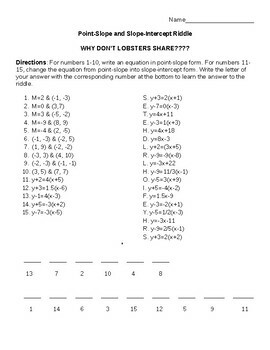 At the top, it asks, "Why don't lobsters share?" and then they match their answers with the number of the problem at the bottom to find the answer. An answer key is provided. There will be a few answers not used.